IBPS Clerk Online CWE Previous Year Exam Paper - 2015 (Held on: 20-12-2015) "Numerical Ability" | BANK EXAM PORTAL : IBPS, SBI, PO, Clerk, IPPB, Bank Jobs Aspirants Community. IBPS Clerk Online CWE Previous Year Exam Paper - 2015 (Held on: 20-12-2015) "Numerical Ability"
161. In an examination, a student scores 6 marks for every correct answer and loses 4 marks for every wrong answer. If he attempted 80 questions and obtained 310 marks, how many questions did he attempted correctly? 162. The diameter of a wheel is 49 m. How many revolutions will it make to cover a distance of 3200 m? 163. The average run of a cricketer after 18 matches was 565. If he made 101 runs and 123 runs in 19th and 20th match respectively. What is his new average run after 20th match? 164. Two types of rice (type 1 and type 2) were mixed in the respective ratio of 1 : 3. The mixture was then sold at the rate of Rs. 75.60 per kg to gain a profit of 20%. If the price of type 1 rice is Rs. 75 per kg, what is the price of type 2 rice per kg? 165. Mr. Shah’s monthly income is Rs. 54550. In an entire year, he spends 32% of his annual salaries on groceries, he spend 12% on repairs and 10% he pays to his servant. If half of the remaining amount he invests in fixed deposits, what is the amount invested by him in fixed deposits? 166. Two pipes A and B can fill tank in h when opened simultaneously. If B alone can takes 2 h less than A alone takes to fill the tank compleletely. How much does A alone take to fill the tank? 167. A man can now 10.2 km downstream in 18 min. If the speed of the stream in 3.5 km/h, how much time (in h) he would take to cover 121.5 km upstream? 168. The respective ratio of two numer is 16 : 21. If the first number is increased by 30% and the second number is decreased by 20%, what will be the respective ratio of the first and the second number? 169. A bag of fruits was distributed among 4 studens P, Q, R and S. P took 3/8th of the fruits. Q took 1/5th of the remaining fruits and the remaining fruits were equally distributed among R and S. What fraction of fruits did R get? 170. The present population of village P is 2.5 times the present population of village Q. If after a year the population of village Q is 16537 and has been increased at a rate of 15%. What is the present population of village P? Directions (171-175): What will come in place of question mark (?) in the given number series? 171. 29 31 37 49 69 ? 172. 13 13 20 37.5 83 ? 173. 17 16 30 87 344 ? 174. 8 9.4 12.2 17.8 29 ? 175. 26 12 11 15.5 30 ? 176. Arunika brought some articles and sold half of them at Rs. 22103 thereby making a profit of 15%. At what price should sell the rest of them so as to earn a total profit of 225%? 177. The height of a triangle is equal to the perimeter of a swaure whose diagonal is m and the base of the same triangle is equal to the side of the square whose area is 784m2. What is the area (in m2) of the triangle? 178. Arunavo invested total sum of Rs. 16000 in two scheme (A and B) for two years. Scheme A offers compound interest (compouned annualy) at the rate of 10% per annum and scheme B offers simple interest at the rate of 12% per annum. If the total interest earned by him from both the scheme after two years is Rs. 3504. How mauch much monty (principal) did he invested in scheme B? 179. Ravi is older than Simar by 4 yr. Four years from now, the respective ratio between Ravi's age and Simar's age will be 9:8. What will be the Ravi's are (in yr) 15 yr ago? 180. A started a business by investing Rs. 33600. After three month B joinede by investing Rs. 23100. After 3 month of B's investment. C joined them by investing Rs. 18900. If the total profit earned by them is Rs. 26450, what is C's share of profit? 181. The sum of two numbers is equal to 27 and their product is equal to 182. 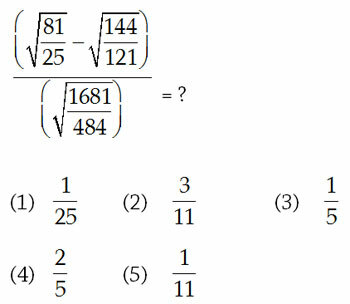 What are the two numbers? Directions (182-191): What will come in place of question mark (?) in the given questions? 182. 54.2 + 13.52 - 0.52 - 0.5656 - 0.07 = ? 187. 0.5 × 5.6 + 2.5 × 8.5 + 164.85 = ? 188. (0.3 + 0.9 + 0.06)(0.1 + 0.4 + 0.04) = ? 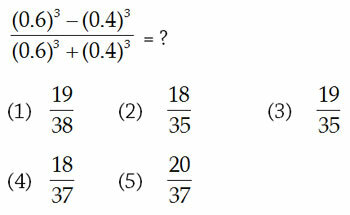 Directions (192-196): Study the table and answer the given questions. 192. Number of books sold by store P in May in approximately what percent less than the number of books sold by store T in July? 193. What is the respective ratio between the total number of books sold by store P in April and June together and total number of boks sold by store T in May and July together? 194. If 30% of the total number of books sold by store Q, S and T together in April were Academic books, how many non-academic books were sold by the same stores together in the same month? 195. What is the average number of books sold by store R in April, June and July together? 196. What is the difference between total number of books sold by store Q in May and July togehter and total number of books sold by store S in March and June togehter? 197. A train 350 m long takes 36 s to cross a man running at a speed of 5 km/h in the direction opposite to that of train. What is the speed of the train? 198. A person invested some money at the rat eof 6% simle interest. At the end of three years, he hot Rs. 900 as SI. If interest is put at the rate of compound interest annually, how much more interest would he got in three years? 199. Raju purchases 55o mL of milk everyday. If cost of 1 L of milk is Rs. 44, how much amount will he pays in 45 days? 200. Neha scored 1.2 times as many marks in Science as in Sanskrit and in Social Science She scored 20 more marks than Science. If she secured 85.5% marks in these three subjects out of a total 600 marks (in the given three subjects only), how much did she scored in Social Science?